In a round of boxing, a fighter will make decisions and carry out actions to give himself an advantage, by blocking or evading punches while using well placed attacks to defeat an opponent in the ring. 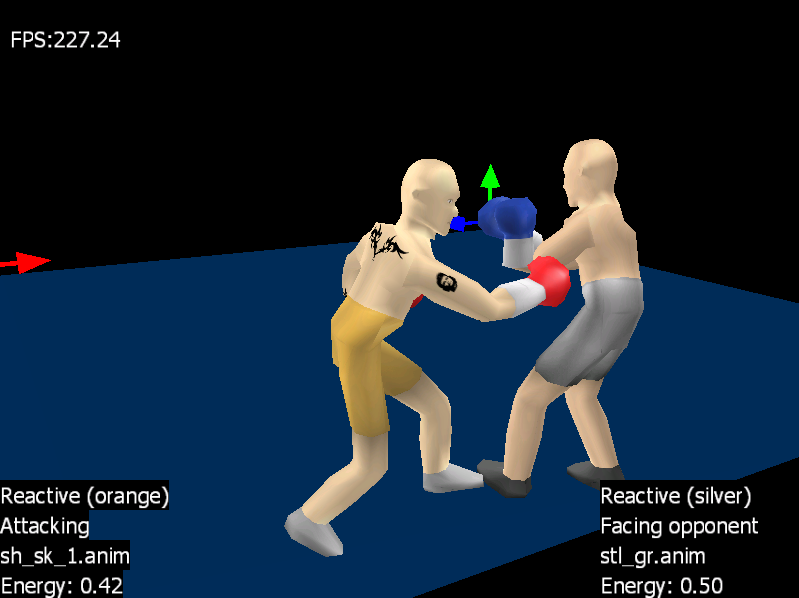 A boxer must constantly decide what action will give him the best chance of winning based on the perceived state of the opponent and the boxer's own physical state. These decisions must occur with little time for thought or analysis, using instinct and technique from training. 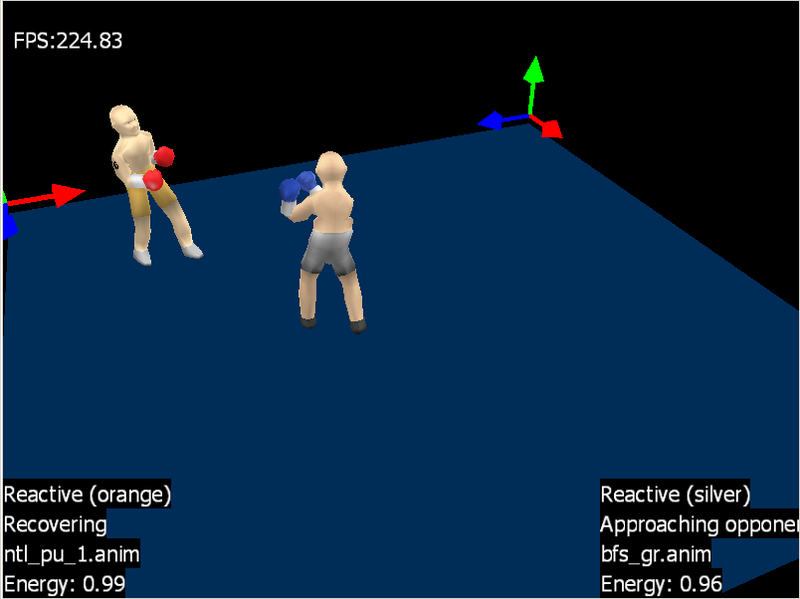 The goal of this project is to capture an approximation to the reactive motion required of a boxer in a ring in real time. Project files are included for VC++ 8, but the source code should be pretty portable. Extract everything to a single directory. There are two executables: TwoReactive.exe and KB.exe. 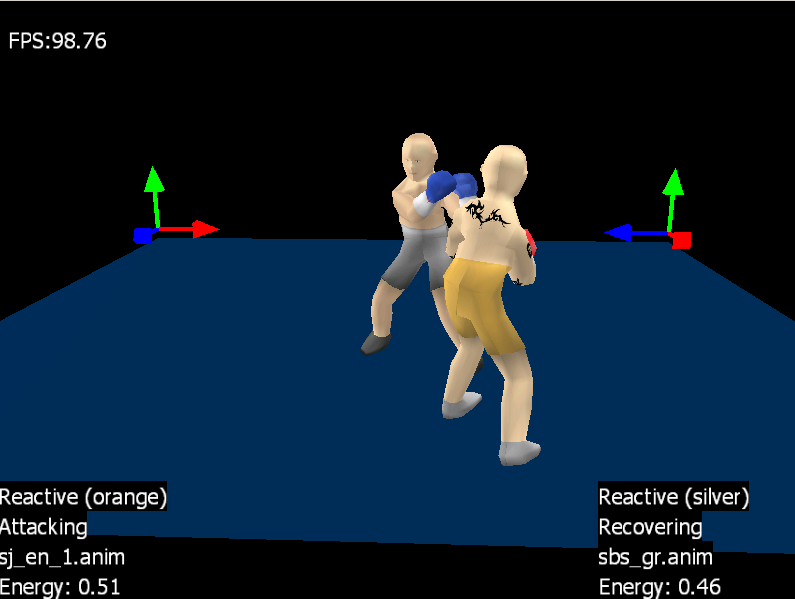 TwoReactive.exe pits two reactive boxers against each other while Kb.exe pits a reactive boxer against a keyboard-controlled boxer. Dragging the mouse with the LMB down rotates the camera. Dragging with the RMB zooms. A reactive boxer gets tired and runs away.